This ancient numbering system is still in use in Japan and China. Kanji was brought to Japan during the 5th century AD when the Chinese scholar Wani arrived in Japan as an emissary during the reign of Emperor Ojin. In fact the literal translation of Kanji is “Han Characters” or “Chinese Characters”. Now-famous Japanese mathematician Seki Takakazu used a combination of Kanji and a much older form of Chinese numbers called Counting Rods to make several advances in Eastern Algebra. Kanji numbers are read a bit differently once double-digits are reached. The symbols 十一 would be jû ichi, which translates roughly as ten and one, whereas in English we would say eleven. The number 20 in Kanji is written as 二十 or ni-jû, roughly two tens. Anything past the number 20 is a bit out of the scope of this article, so if you want to read more about Kanji, head over to Omniglot, which has tons of information on different languages and numbering systems. My boyfriend is a Japanese lover. He knows the language and his dream is to go to Japan. I have been playing D&D for years, and I have recently gotten him into it as well. 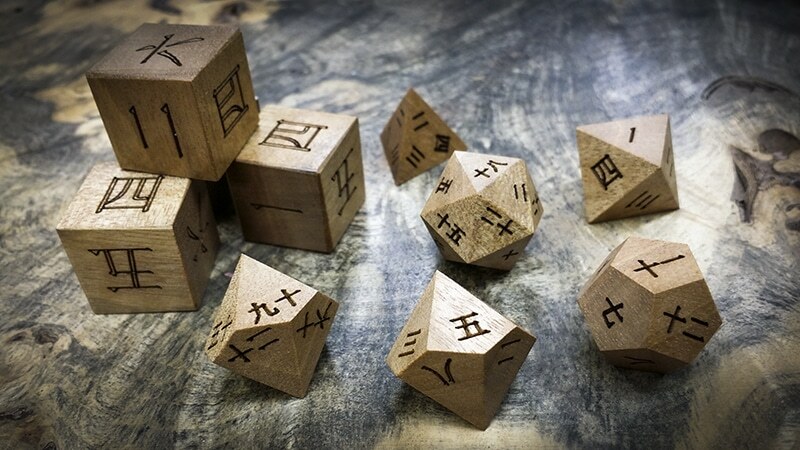 His birthday is coming up on April 14th, and I would love to get the kanji dice for him. It would be a wonderful first set of dice. Anyway, please email me when they become available, I will be one of your first buyers. Please let me know when these are available again!! I’d love to purchase them for my boyfriend’s birthday. 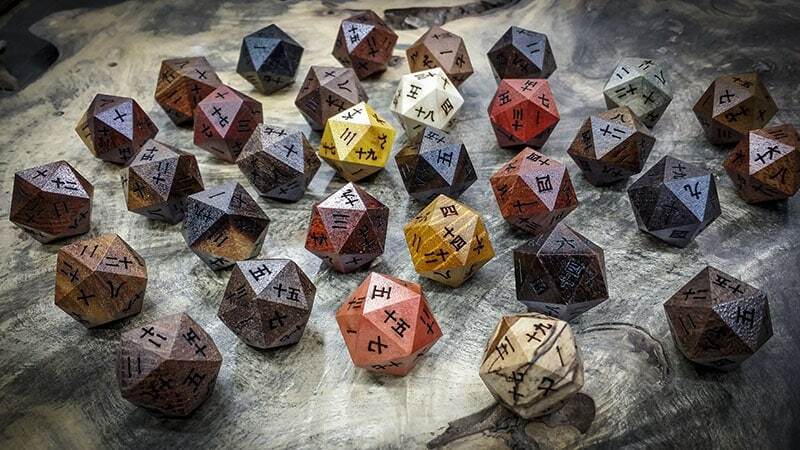 He speaks Japanese, and plays D&D, and I know he would love these. Hi Tom email us at contact@artisandice.com we can make a set for you. just haven’t had a chance to get them listed on the new website.